You have made it past those first three months of pregnancy! So you’ve probably realized that pregnancy is not exactly nine months. It’s technically nine and a half months, if you deliver full term at 40 weeks. Possibly close to ten months, if you are overdue! Most women feel the best during the second trimester. In the second trimester, the hard work of forming the placenta is now complete and it’s time for the baby to continue growing and developing. Most women start to feel like their old self between weeks 14-17. Much of the nausea has subsided, breast tenderness has decreased and your body has adjusted to the new hormone levels (Your partner will be happy about that one!). I really enjoyed not feeling exhausted all the time. I had energy to go shopping, cook and clean, in addition to my workouts. During my first trimester, it took all the extra energy I had to drive to the pool to get in a swim and a run. Second trimester, I would exercise a few hours in the morning and still have an abundance of excess energy to burn for the remainder of the afternoon. Normally, in the late winter and early spring months, my body is accustomed to feeling fatigued day in and day out due to the heavy training load to prepare for my professional racing season. I enjoyed walking around for a day at Disney, heading to the store for shopping and shocked that I was enjoying the house cleaning. I’m usually so tired because of heavy training and racing that cleaning is an even more unwelcomed chore. My renewed energy in the second trimester made it much easier to be consistent with my workouts. I rarely took a day off from doing something aerobic during my second trimester. I didn’t feel like I needed a day off each week, like I did the first three months. I looked forward to going outside for a run, riding on the trainer or heading to the pool. I felt so much better continuing to be active and knew it was healthy, not only for me, but also for my baby. Not all women feel great during the second trimester, so again, make sure you listen to your body and take everything day by day. Be sure to continue to communicate with your doctor about your activities and ensure that he or she gives you the green light to continue exercising. One aspect of training that didn’t change from my first trimester to my second trimester was that I still had to take frequent bathroom breaks while running and riding on the trainer. Although I had more energy, my times in running and swimming were still considerably slower (much the same pace as the end of the first trimester). I no longer wore a watch while I ran, I just enjoyed the time outside and went a certain distance depending on how my body was feeling. Right around the fifth month, I began to get round ligament cramps while running, and sometimes swimming. These cramps were due to the added pressure on my ligaments with the weight of the growing baby. Keep in mind these twinges on my side were not labor cramps; but cramps due to the ligaments stretching out. The cramps can also come on from walking or randomly happen as you roll over in bed. If you rest for a few minutes, these sharp pains will subside. 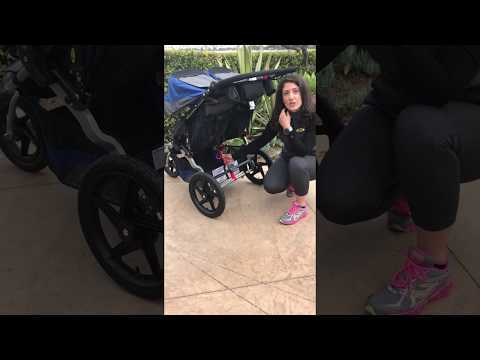 Around week 20; I began wearing a Medela strap while running and strength training. The strap seemed to really keep my stomach feeling tighter and more secure. Towards the end of the fifth month and into the sixth month, the strap was not always enough while running. If I felt the start of a twinge in my ligament, I would stop and walk for as long as I needed until the ligament relaxed. Once I started back up again, I felt great the rest of the run. Just like the first trimester, it is very important to listen to your body in the second trimester. If you do not feel comfortable running around week 20 or earlier, then discontinue running. Make sure you are doing what feels right for your body. Don’t be stubborn and feel like you have to run five miles every day. Most days, I felt awesome during an entire run and I could run eight miles! Other days, I only felt like I could handle three miles. After twelve weeks, I did not feel comfortable cycling outside. I know some women continue riding outside a little longer; it’s completely up to each individual woman and their comfort levels. I was uncomfortable with the possibility of crashing and potentially hurting my baby.My doctor also advised me tostop riding outside past the twelve-week mark, because that’s when the baby has grown large enough to be outside of the protective pelvic bone structure..
Over the course of the second trimester, your belly will begin to grow! It’s awesome to see the beautiful changes from week 14-27. By the end of the second trimester, be prepared to slow down a little more as your body begins to adjust to your growing baby bump. In addition, your body begins to produce the hormone, relaxin, which allows your ligaments to stretch during labor. All of your joints begin to relax. Don’t be the one in the kitchen to carry anything fragile! I dropped an item or two. My husband claims I was already clumsy before pregnancy, so I suppose you can imagine my handling skills once the relaxin began pumping through my body! Enjoy the middle leg of pregnancy before the homestretch! Now is the perfect time to keep up with consistent exercise. Find what you enjoy most, whether it be swimming, hiking, running or walking the dog!